Felting with water is a great way to introduce children to the craft of felting. The concept of felting is very simple - Using warm water, soap and agitation the wool fibers are moved around so that they intertwine or hook together to form a felted material that can be use to create all kids of creative crafts. Wool roving is natural animal fleece. You can use natural uncolored fleece or colored wool. To make the project even more interesting, you can experiment with natural dyes to dye the fleece. You can buy Wool Roving at your local craft store or online through Amazon.com. A large Cooling Rack with small holes placed over your sink works very well for felting. If you don't have one, it is not only a good investment for this project, but you can also use it as a cookie cooling rack. Use a natural soap. Cheap Ivory soap works well. Felt Sheets - These aren't really felt because they are made with synthetic fivers, but they are great to use to add ears, antlers, and tongues to your projects. You can buy a Pack of Felt Squares on Amazon.com or buy them by the square for about twenty cents each at your local craft or fabric store. 1. To make the head you will need a rock that is the basic shape of the head. 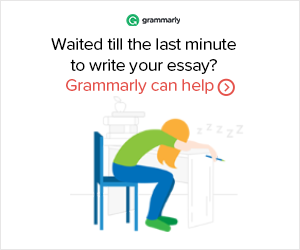 Make sure one end is wider than the other. 3. While holding the felt run hot water over the rock while pressing the roving into the rock. Add a little soap and keep pressing all over the rock until the wool seems to be sticking together. 4. Once the wool sticks together, you can start felting the wool by rolling it over a rough surface. I used a metal cooling rack placed over my sink. Roll the rock over the surface until the wool starts to tighten. Keep adding soap and very warm water. 5. Once it is felted cut a slit in the wider side of the rock and squeeze out the rock. Place some soap inside the felted piece and rub it gently to felt a little inside. Squeeze the piece together several times to ring out the soap and felt it even more. 6. Once you have all the soap out, stick your finger inside your piece, and press it back into shape. Set it out to dry. 7. While your piece is drying cut ears and antlers from felt squares. 8. Once your piece is dry you can glue the ears and antlers to the inside top of the piece where you cut it open. Stuff it with polyfil, dryer lint, or whatever you can find, and then glue it closed. 9. Sew on a bell for the nose and glue on eyes. I used eyes that are designed for stuffed animals. I just cut off the back pieces that stick out of the back of the eyes. 2. If you want your eggs sparkly spread some Angelina fibers over the first layer. Do not use very much because this fiber does not felt well. If you add too much, it will be difficult to get the fibers to stick together. 3. Next add some more layers of different colors of roving until you get it to look like you want. 4. Turn the whole thing over and place a foam egg at one end. Roll the felt around the egg, covering the sides as you go. Try to get it as even as possible. If it is too thick in one area, you can pull off some of the roving. Roll it as tight as possible. 5. Place some very warm water in a dishpan and add a little dish soap. Carefully place the wrapped egg in the water, (the hotter the better). Press in on all sides of the egg until the fibers start to stick together. 6. Add some dish soap to the egg and keep pressing in. When the fibers seem to be sticking together, place the egg on a cooling rack and roll it over the rack to felt the egg some more. Keep doing this until the fibers feel tight. If the fibers are sticking to your hands, add more dish soap. 7. Another way to make the eggs is to cover the whole egg with one color to start and then add thin layers of different colors. 1. 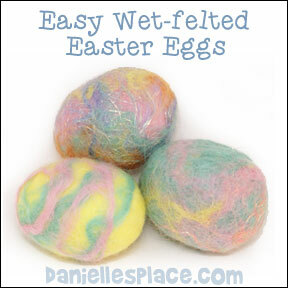 Follow the directions above for wet felted Easter eggs except use only one color. 2. When the felted egg is dry, cut open the bigger end and push out the egg. 3. Cut about 10" of thin craft wire and stick it through the egg where you would like one whisker. Reach inside the egg and push the wire back through to the outside where would like the other whisker. Curl the ends of the whiskers around a pencil. Fill the felted egg with polyfil. 4. Cut two ears from matching felt squares and two inner ears from pink felt. Glue the inner ear on the outer ear. If you would like to make the ear adjustable, place some thin craft wire between the felt before gluing them together. Glue the ears in the hole of the egg and then glue the egg closed. 5. Glue on the eyes and nose. Sew a safety pin to the back so you can pin it to your clothes. 1. To make the head shape, you will need a smooth round rock. 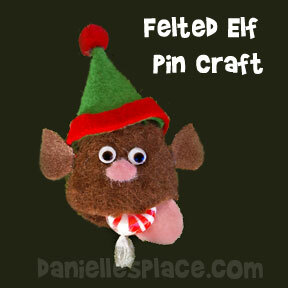 (See instructions for making the Reindeer Pin.) Place a piece of wool roving over the rock, long wise. Bring the sides of the wool roving around so that the wool covers the whole rock Then wind another piece of wool roving around the rock the opposite way covering the piece of wool you just put on. Don't make it too thick to start. The whole rock should be covered all over with two layers. 2. Turn on your tap water and let it run until it is the hottest it will get. Place the rock with the wool on it under the water and wet it thoroughly. Squirt some soap on the wool to make it slippery. Press in on the wool and turn the rock around (the opposite way the wool is wound so it doesn't come off) and around in your hands, squeezing slightly, so that the wool fibers begin to stick together. Once the fibers begin to stick together, you can add more wool if you have any holes. Keep working with the wool until it feels firm. 3. Roll the wool on a bumpy surface such as a cooling rack to help felt the wool. 4. Once the wool is firm and you don't have any holes you can start to dry your piece. Squeeze it between some towels and/or use a hair dryer. Once it is fairly dry, you can cut one end open for the mouth with a good pair of scissors or razor blade. 5.Needle felt a tongue, nose, and ears, and then felt them onto the head. If you are doing this craft with younger children, use felt sheets to cut the ears and tongue shape and glue it to the felted head. Use a pompom for the nose. 6. To finish glue on wiggly eyes. You can use these as Christmas tree ornaments, refrigerator magnets, pins to wear on your shirt, or as decorations for Christmas gifts. 1. To make the felted head follow the general directions for the Wet-Felted Yucky Face above. 2. Cut ears, hat, and tongue from felt and glue to the head. Glue a red pompom to the top of the hat and a pink pompom on the face for a nose. 3. Glue on googly eyes. Glue a piece of candy to the tongue. 1. To make the felted head follow the general directions for the Wet-Felted Reindeer below. 2. Cut the inside and outside ear shapes from felt and glue to the head. Glue a pink pompom on the face for a nose. 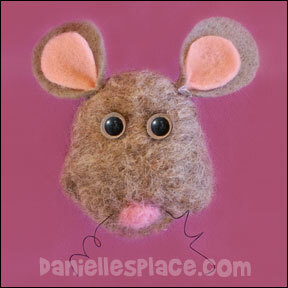 You can also wet felt a very small piece of pink roving by rolling it in your hands to make the nose. 3. Glue on googly eyes. Insert a very thin wire through one side of the face and back out the other side. Twist the ends of the wire around a knitting needle or something else that is long and skinny to make the whiskers. 1. To make the head shape follow the directions above for the Felted Reindeer except this piece will not be stuffed and the opening you cut will be the mouth of the dragon. 2. While your piece is drying cut ears from felt squares, horns and tongue from foam pieces, and the fringe from shiny material. 3. Once your piece is dry you can glue the ears, horn, fringe, and eyes on. Glue the tongue to the inside of the piece so that just a small part sticks out. I used eyes that are designed for stuffed animals. I just cut off the back pieces that stick out of the back of the eyes. 4. To finish sew a safety pin on to the back.